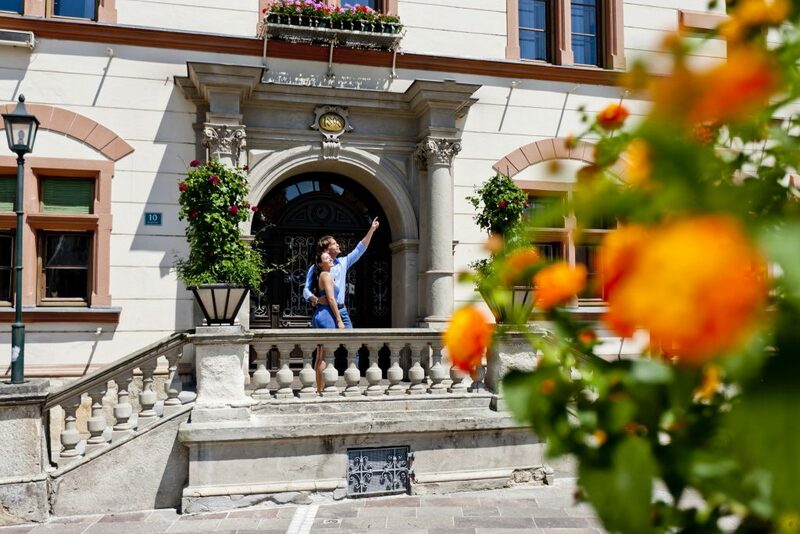 In the east of Styria, the town of Hartberg, which lies on EuroVelo 9and the Styrian Wine Country Cycle Trail invites visitors on a journey of discovery. As a town with 3000 years of cultural history it harmoniously units historic and contemporary aspects. You can view the surrounding hills of Eastern Styria in peace from the 30 m tower. Few towns in Styria have such an eventful history. In the 3 BC, one of the most important prehistoric settlements in Styria was built on the Ringkogel, the local mountain of Hartberg. It was surrounded by a mighty wall. The Romans also left their mark in Hartberg. Not only the vineyards, which produce many good wines, but also numerous excavations bear witness to this. On a cultural walk through the old town, visitors can discover this very atmosphere: it is an atmosphere of both history and of the impact of the town. It is worth visiting the Romanesque ossuary, which features impressive frescoes. Curtain up: The old town serves as a stage for concerts, exhibitions and attractive cultural events. 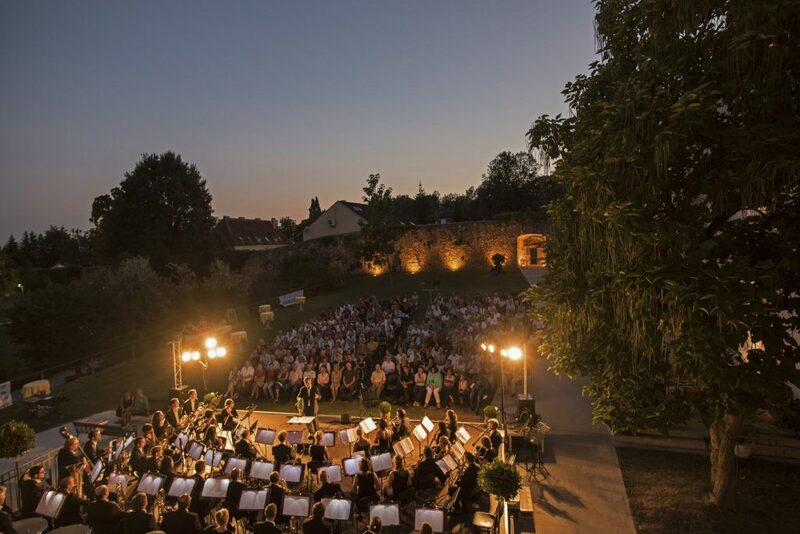 The Hartberger Literatursommer is a literary event that offers outstanding evenings of entertainment from the world of words. 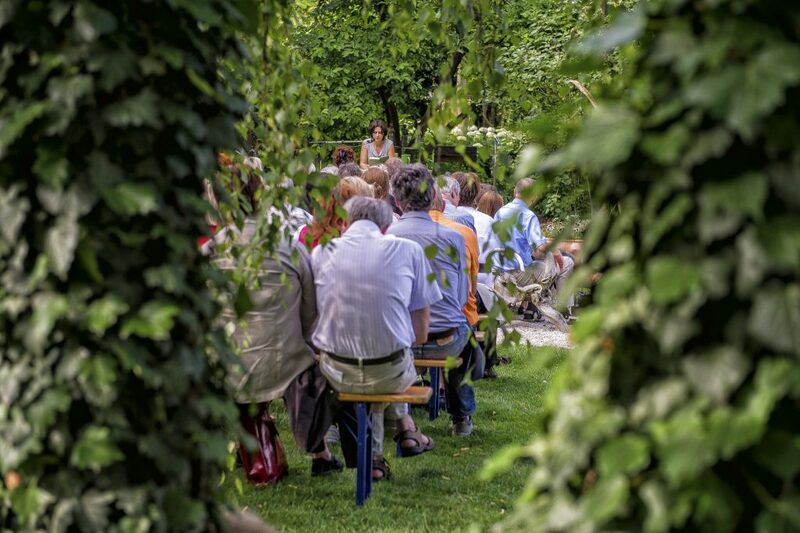 Every year readings take place in and around Hartberg’s gardens and squares. This series of events also offers food and music as well as exciting stories. Guests can discover culinary products from the heart of the region in the surrounding wine taverns or at the traditional farmers’ market in front of the Capuchin monastery. The Hartberger Stadtmuseum offers an in-depth look at the history of the town in its permanent exhibition. The museum has been housed in the historic Steinpeißhaus since 1988. It is a venue for cultural events and the inner courtyard also becomes a cultural meeting point for concerts or readings. 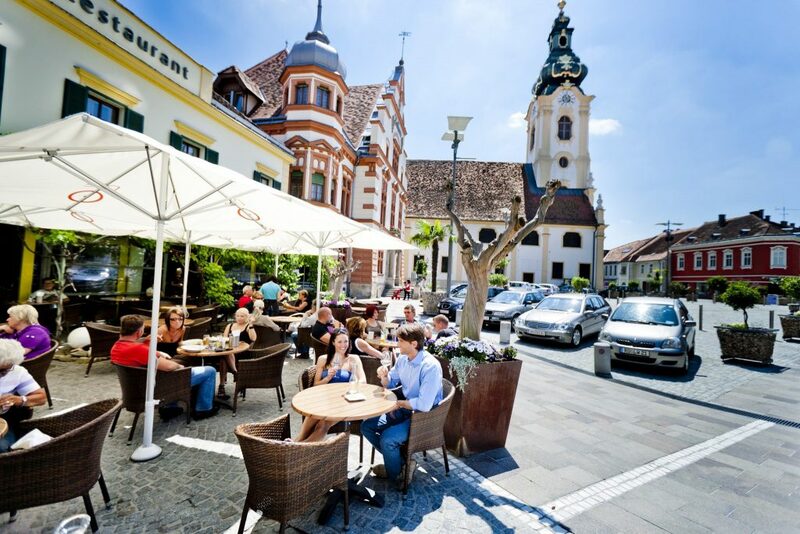 Hartberg also bears the title Città Slow – a seal of quality of life.